We are back. 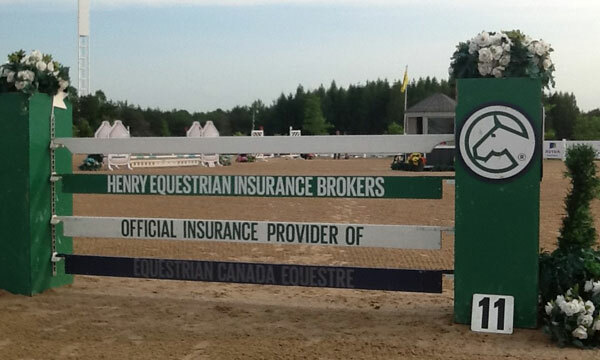 We return to Caledon Equestrian Park for week 3 of the summer series and the $25,000 Summer Classic National Grand Prix. The special feature of this grand prix will be the inclusion of the Wines of the World party that has been held at the park for quite a few years now. The grand prix will start at 6:30 p.m. Saturday night and anyone attending will have front row seats for our event. EMG will also be hosting a BBQ for all exhibitors on the patio of the pavilion at no charge. 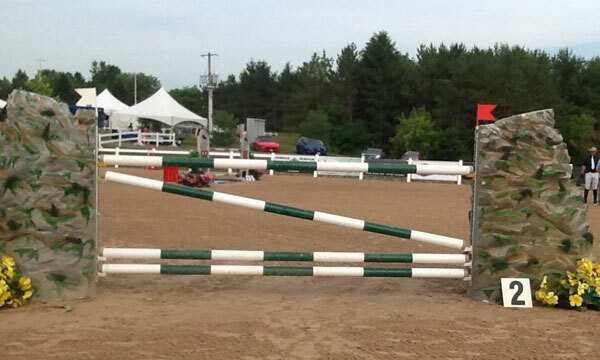 An additional feature this week is the major jumping classes will be held in the jumper annex ring while the smaller height divisions get to compete in the main grand prix ring. This is a nice gesture to give the smaller divisions a chance to compete in the main ring. The annex ring is smaller than the GP ring, but with the dimensions of 70m by 90m, there is ample room. 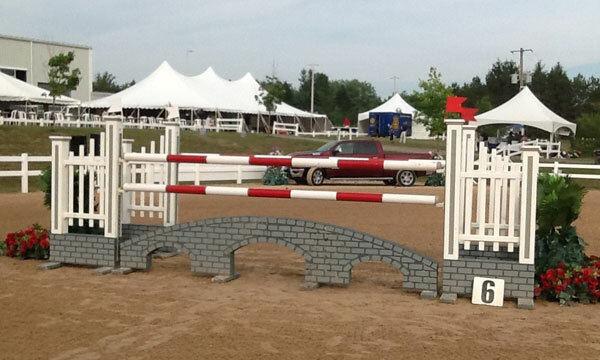 There is also a slope to this ring and both riders and the course designer need to be aware that this can change the ride when needed. Our CD this week will be Jen Ferguson (CAN), and even though Jen has been with us for a few years now this will be her first $25,000 grand prix design. 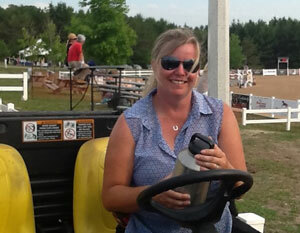 Jen is a professional course designer who has worked across Canada. She is my good friend and she is a very good course designer. Our open welcome class on Friday was fair and I believe has set up this local field of horses and riders to expect a good test with the course tonight. We are in the middle of a serious heat wave and I hope that the temperature will not play a big role in the outcome of this class. There are 24 entries and with a late scratch we will see 23 compete. The course will feature 13 numbered obstacles and 16 efforts. 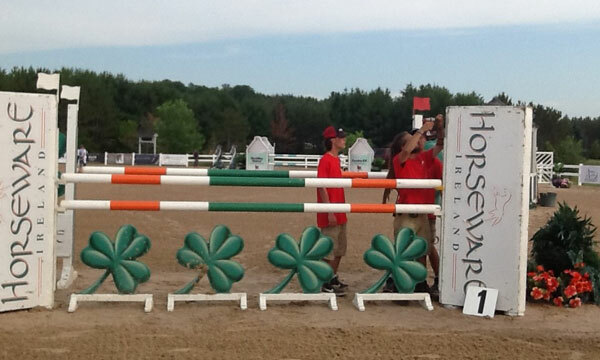 The course will also show one triple and one double combination. There is a closed Liverpool vertical, a plank vertical and a short pole vertical. 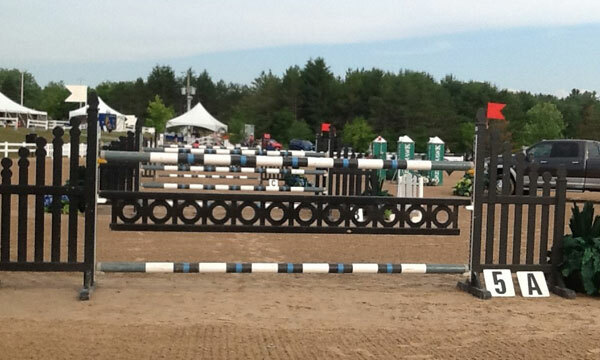 There will no water, no wall and no triple bar. The TA is set at 86 seconds and after two rides it was changed down to 81 seconds. The published speed was 350mm and I will discuss this at the end of the walk. It is hot and there is a very good crowd on hand so let’s begin the walk of the $25,000 Caledon Summer Classic. #1 oxer 1.30/1.35/1.40m or 4/4.3/4.6ft and sent one entry to the showers early. 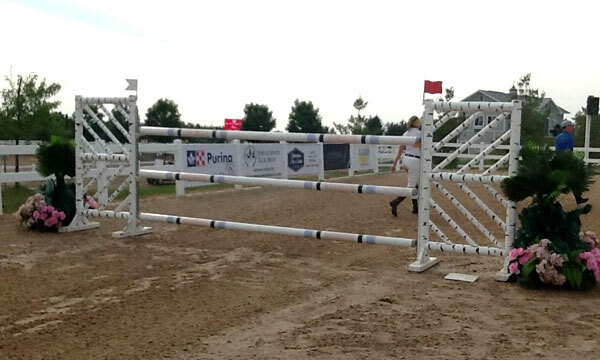 #2 vertical 1.34m or 4.3ft comes from #1 on the soft bending left rein and had no given distance. This effort also ended the evening for one rider. 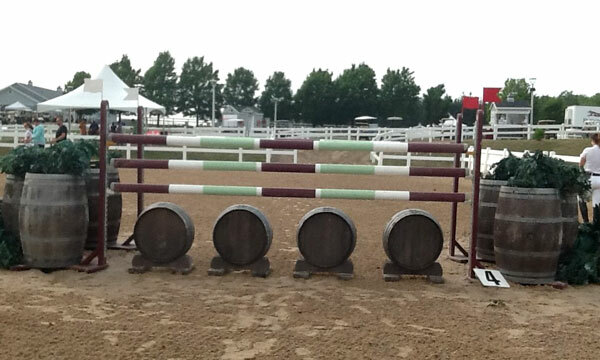 #3 oxer 1.35/1.50m or 4.3/5ft comes on the full turn right and fell from grace four times. 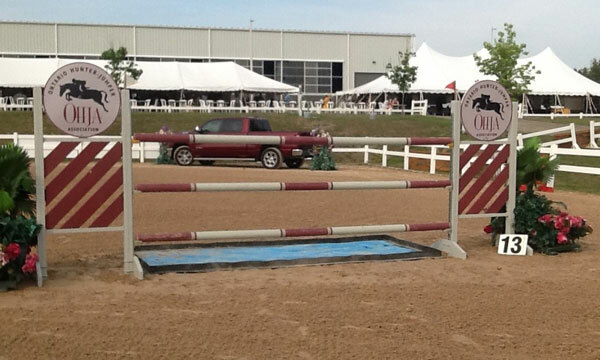 #4 oxer 1.40/1.50m or 4.6/5ft comes from #3 on the bending left rein and here we saw one refusal and one pole on the floor. 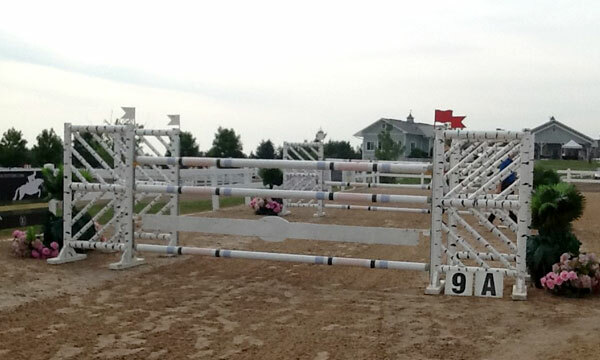 #5a vertical 1.35m or 4.3ft comes from #4 on the full left turn and going away from the in-gate and was the only fence on the course tonight not to be faulted. 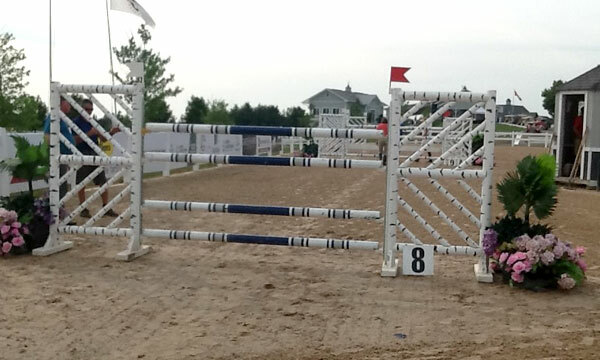 #5b oxer 1.35/1.50m or 4.3/5ft with a distance of 7.90m or 25.9ft from #5a and was pushed to the ground one time. 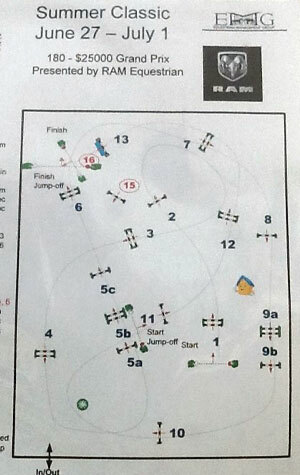 #5c vertical 1.40m or 4.6ft with a distance from #5b of 11.30m or 37ft and here we had two refusals and ine elimination. #6 oxer 1.40/1.50m or 4.6/5ft comes from #5c in a straight line with a distance of 19m or 62.3ft and at this point we had another refusal. #7 oxer 1.40/1.50m or 4.6/5ft comes from #6 on the right rein and no given distance and met with mother earth one time. #8 vertical 1.40m or 4.6ft comes from #7 on the continuing right bending rein with a distance of 26.5m or 87ft and was punished four times. #9a oxer 1.40/1.50m or 4.6/5ft comes in a straight line from#8 with a distance of 22.50m or 73.9ft and bit the bullet three times. #9b vertical 1.40m or 4.6ft comes from #9a with a distance of 8m or 26.3ft and fell to the floor one time. #10 vertical 1.40m or 4.6ft comes from #9b on the right rein and no given distance and once again the popular fault factor was one. #11 plank vertical 1.40 or 4.6ft and comes on the continuing right rein and the plank was pushed from the flat cups four times. #12 oxer 1.40/1.50m or 4.6/5ft comes from #11 on the left bend and with a distance of 30m or 98ft and tumbled to the turf two times. 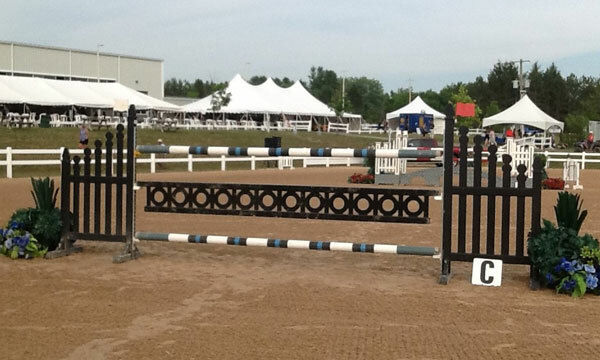 #13 closed Liverpool vertical 1.40m or 4.6ft comes on the left rein and the final fence on the course tonight splashed down one time. The final tally for the first round will show that there were five clean rounds, one round of one time fault, eight rounds of four faults, one with six faults, two with eight faults, one with nine faults and one with 12. There were a couple with more but they will fight another day. There was one VW and one elimination (refusals). When given the limitations of a class to be set 1.35/1.40m, but with a decent field of competitors and horses the job of the course designer is not an easy one. In her debut at the $25,000 level Jen Ferguson did a really good job. It was important to her on a personal and professional level but it was important to the management because of the class itself, but also because of the Wines of the World crowd as new future spectators. It is always important to the competitors that any class have quality course design. I think everyone went home satisfied. Great job Jen. The published speed for this class was 350mm and in the past I have said that our sport has moved past this speed for most jumping divisions outdoors. I believe that 375mm should be the new normal. Tonight the TA was at 86 seconds and then changed to 81 seconds. Based on the distance wheeled and the 350mm speed the TA was set at 86 seconds, but if the speed had been 375mm there would have been no need to alter the TA. I don’t think the average rider today under the international level even looks at the speed wheeled on a course. The riders are now so programmed to ride at a forward pace that only when the TA is too aggressive do the riders take notice. After the first horse completed the first round tonight with a clean performance and was well below the TA it was clear that the time was going to be changed and the CD and jury only waited one more ride to make the change. I think it is food for thought. I have been asked to elaborate on my comments in the last couple of walks about the use of 10ft jumps. 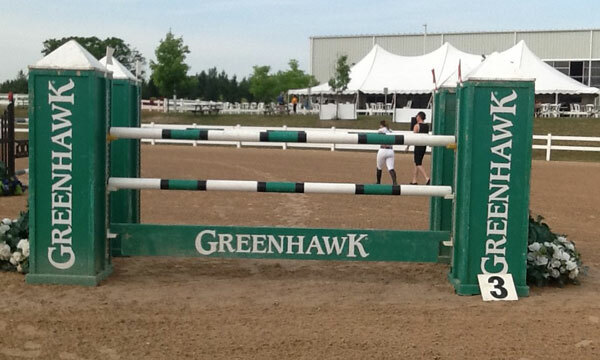 The average length of a jump pole is 12ft and that goes for indoor competition as well in North America. In the creation of a course CDs will use a majority of 12ft equipment and will also space in the odd 10ft and an 8ft jump. The reason for the use of the shorter poles is the “careful” factor. 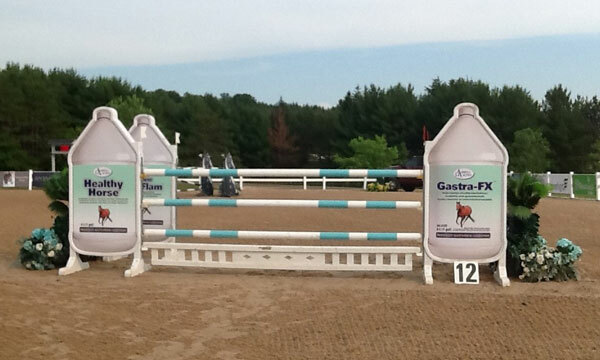 These poles are lighter and if using the 18mm cups the horse needs to be rub free at these jumps or risk four faults. Many CDs will use the 20mm cups because of the lightness of the poles. The job of the course designer is to create fair competition and set tests on the course that some competitors will pass and some will fail. That is competition. To have a course that is made up of a serious majority of 10ft equipment (12 of 15 efforts) something suffers. The course designer builds a course that may not be what he or she might normally build and, therefore, falls out of their comfort zone to create a competitive course. This is difficult for the course designer. A course designer can only work with the material they are provided and if the competitors don’t care enough to complain then you will get no argument from me. 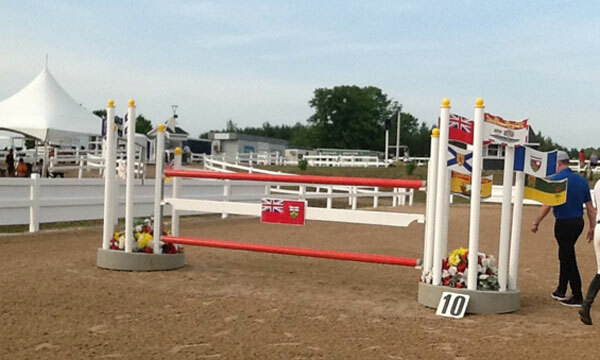 There was a set of jumps commissioned to be built for Halifax NS (indoors) by DuMaurier that myself and Richard Jeffrey designed and it was all 10ft jumps, but it was special because the arena in Halifax was only 85ft or 25.9m wide. The global tour today uses shorter equipment and this helps in the shipping and building in the popup venues on a global tour. 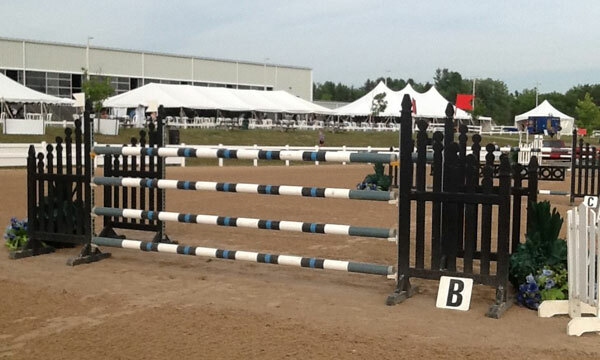 There is no reason for an average outdoor venue in Canada in major competitions to use an exclusive set of 10ft poles. 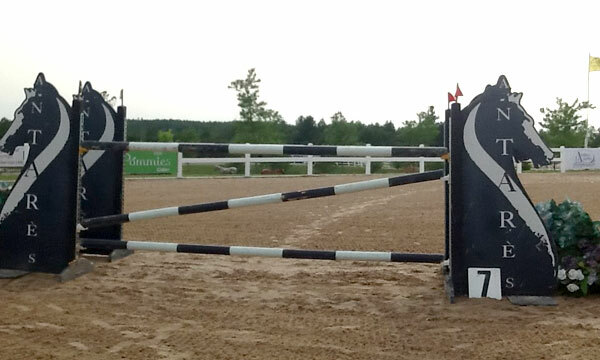 We are back at Palgrave for week 2 of the Summer Series next week and until then I am Dave Ballard.